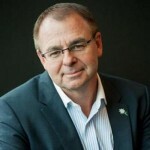 After the recent launch of the Australia We Want campaign the challenge now is to translate the national conversation into tangible actions to make Australia a better place, writes CEO of Community Council for Australia David Crosbie. The launch of the first Australia We Want report last week attracted significant public attention and prompted many worthwhile discussions about where Australia is heading, including in Pro Bono Australia News. The concept of measuring our progress towards core community values clearly resonated with many. Tim Costello, Tabitha Lovett (Equity Trustees) and I conducted over 70 media interviews between us. The challenge now is to translate that interest into tangible actions to make Australia a better place. One of the core principles that informed the AusWeWant approach is: what gets measured gets done. The Community Council for Australia (CCA) has been concerned for some time that the most common forms of measurement around progress and success in Australia are grounded in an economic analysis. The implication is that if we are doing well economically, we will all be doing well in our own lives. The Australia We Want report provides a more inclusive set of measures that move beyond the economy to talk about the kinds of communities we are creating. The tendency to focus on economic measures of progress is not restricted to business or government. It extends to many charities and not-for-profit organisations. While we may be charities and not for profits, this does not mean we are “for loss”. Most of us seek to generate strong income streams and make a surplus so we can not only do more, but also improve effectiveness through investment in organisational capacity – staff expertise, information systems, infrastructure etc. Building and maintaining capacity is important, particularly for medium and large charities and not-for-profit organisations. Boards, investors, staff and other stakeholders want to know the organisation is not losing money, is meeting good practice standards and is working towards having at least a small safety net of backup savings should income streams diminish significantly. In most charities and not for profits, keeping the organisation sustainable is a significant pressure. In practice, finding the money can easily become the primary focus. Sometimes we forget the other measures that matter such as how well we are achieving our purpose. In many ways these organisations represent a microcosm of the broader national policy ecology. Just as a cash strapped charity might not be in the position to make any investment in its future or to start up new programs and services that will better fulfill its purpose, a government committed to reducing the deficit faces similar challenges. have a vision for success and remain true to values and purpose. Critical to each of these activities is knowledge about what is working and what is not. For most businesses the goals are clear – achieve better returns on the invested capital and provide good value to owners and investors. However, if your goal is not about financial performance, what is it about and how do you measure it? Governments are increasingly asking themselves these questions about performance measures and reporting.They struggle to show how they make a difference, how they fulfill their purpose. They have data to count outputs, measure compliance to contracts, model expenditure per activity, and in some cases, point to some economic outcomes. Governments are rich in evidence about activity, but poor in evidence about social outcomes. Unfortunately, the same can be said about many charities. While evidence of activity abounds, evidence that organisations are achieving their purpose can be harder to find. And that is the challenge for the sector – how do we make a difference? What value do we bring to the table? How do we contribute to building stronger communities? Beyond our economic indicators what are we measuring? This is not just a question for impact investors, it is a question for all of us. For me, this is the real strength of the Australia We Want’s first report. It provides some important touchstones, indicators of stronger communities reflecting the values that many of us in the community share. 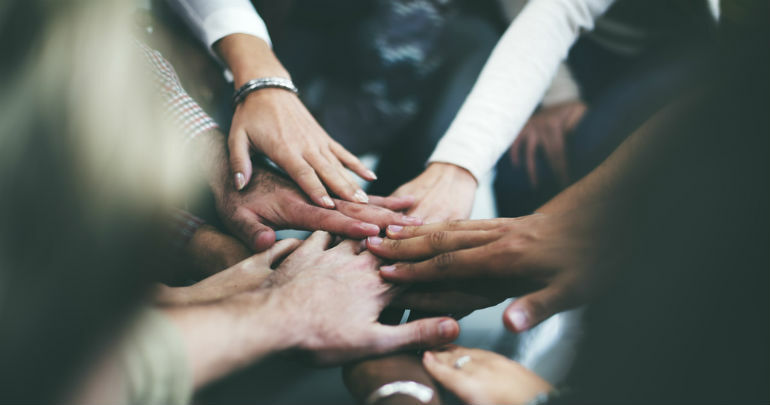 Over the coming months CCA will be offering charities and not-for-profit organisations a chance to come together in leadership forums to share and plan for success around each of the measures in the Australia We Want first report. A lot of the discussion around the Australia We Want last week was about the importance of moving beyond the economic prism and seeing Australia for what it is and where it is going. As accelerating change steamrolls through an ever-larger charity and not-for-profit sector, it has never been more important to be able to demonstrate how the sector makes a positive difference – whether it be reducing crime, improving safety, reducing suicide or enabling kids to stay at school longer. The Australia We Want is a report for all Australians. It is a reference point for a better Australia that is grounded in sector values. It speaks to the society we aspire to. CCA is working to ensure our next steps will progress a much-needed platform to promote the value of the sector and enhance our reputation for being at the heart of building stronger communities. Whether we can make that happen will be up to all of us. David Crosbie writes exclusively for Pro Bono Australia News on a fortnightly basis, covering issues of importance to the broader not-for-profit sector.